Mike Greene - mgreene@shawmedia.com Crystal Lake South's Marisa Thome prepares to return a volley near the net during a first round match against Cary-Grove's Victoria Pierce in the Cary-Grove Invite Saturday, September 22, 2012 at Cary-Grove High School. 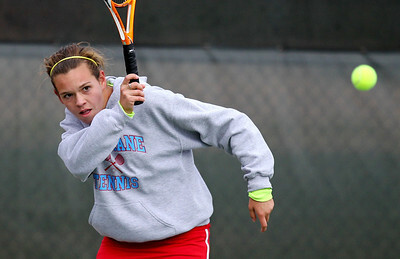 Thome won the match 6-0, 6-2. Mike Greene - mgreene@shawmedia.com Crystal Lake South's Rachel Rasmussen prepares to return a serve during a first round doubles match against Cary-Grove in the Cary-Grove Invite Saturday, September 22, 2012 at Cary-Grove High School. 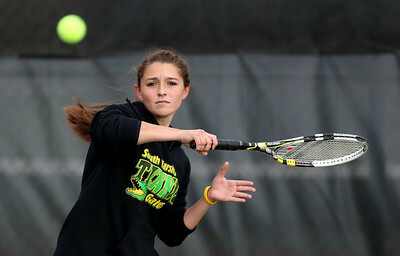 Crystal Lake South won the match 6-1, 6-0. 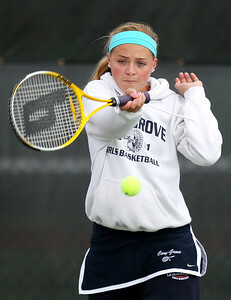 Mike Greene - mgreene@shawmedia.com Cary-Grove's Natalija Kandic returns a volley during a first round doubles match against Crystal Lake South in the Cary-Grove Invite Saturday, September 22, 2012 at Cary-Grove High School. 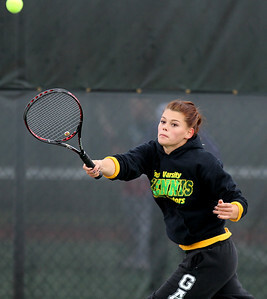 Crystal Lake South won the match 6-0, 6-1. Mike Greene - mgreene@shawmedia.com Cary-Grove's Victoria Pierce returns a volley near the net during a first round match against Crystal Lake South's Marisa Thome in the Cary-Grove Invite Saturday, September 22, 2012 at Cary-Grove High School. 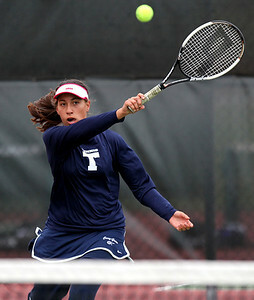 Thome won the match 6-0, 6-2. Mike Greene - mgreene@shawmedia.com Crystal Lake South's Jacqueline Boorom returns a volley during a first round doubles match against Cary-Grove in the Cary-Grove Invite Saturday, September 22, 2012 at Cary-Grove High School. 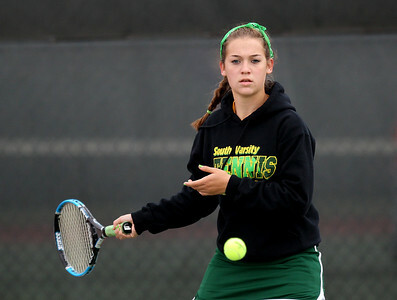 Crystal Lake South won the match 6-1, 6-0. Mike Greene - mgreene@shawmedia.com Crystal Lake South's Rachel Siemon returns a volley during a first round doubles match against Cary-Grove in the Cary-Grove Invite Saturday, September 22, 2012 at Cary-Grove High School. 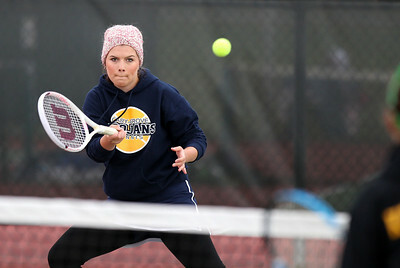 Crystal Lake South won the match 6-1, 6-2. Mike Greene - mgreene@shawmedia.com Crystal Lake South's Kelsey Laktask returns a volley near the net during a first round doubles match against Cary-Grove in the Cary-Grove Invite Saturday, September 22, 2012 at Cary-Grove High School. 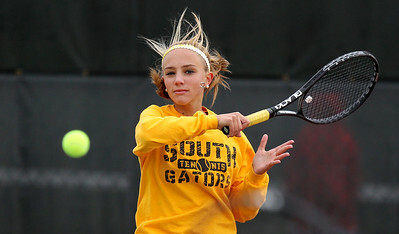 Crystal Lake South won the match 6-1, 6-2. Mike Greene - mgreene@shawmedia.com Cary-Grove's Jessica Hinojosa returns a volley during a first round match against Crystal Lake South's Julia Thome in the Cary-Grove Invite Saturday, September 22, 2012 at Cary-Grove High School. 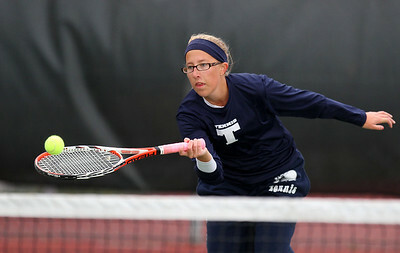 Thome won the match 6-1, 6-0. Mike Greene - mgreene@shawmedia.com Marian Central's Hayley Frahm watches her return during a first round match against Hononegah in the Cary-Grove Invite Saturday, September 22, 2012 at Cary-Grove High School. 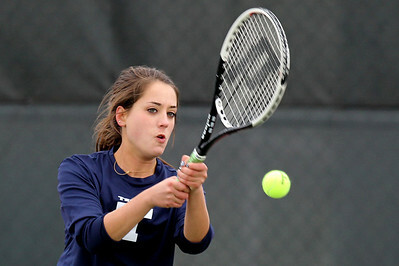 Frahm won the match 6-2, 6-3. Mike Greene - mgreene@shawmedia.com Marian Central's Alissa Melchionna waits for a serve near the net during a first round doubles match against Hononegah in the Cary-Grove Invite Saturday, September 22, 2012 at Cary-Grove High School. Mike Greene - mgreene@shawmedia.com Cary-Grove's Margaret Gray returns a serve during a first round doubles match against Crystal Lake South in the Cary-Grove Invite Saturday, September 22, 2012 at Cary-Grove High School. 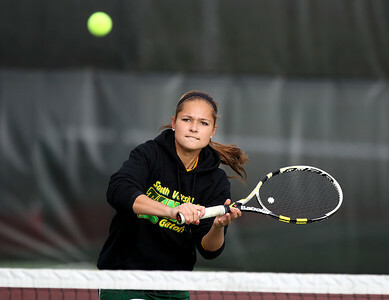 Crystal Lake South won the match 6-0, 6-1. 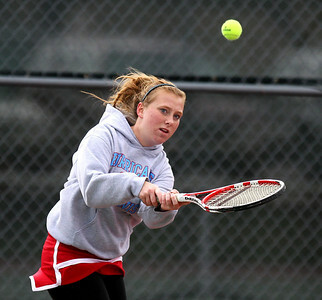 Mike Greene - mgreene@shawmedia.com Marian Central's Sarah Quinlan returns a volley during a first round doubles match against Hononegah in the Cary-Grove Invite Saturday, September 22, 2012 at Cary-Grove High School. Mike Greene - mgreene@shawmedia.com Marian Central's Abby Waters returns a serve during a first round match against Hononegah in the Cary-Grove Invite Saturday, September 22, 2012 at Cary-Grove High School. Waters won the match 6-1, 6-3. Mike Greene - mgreene@shawmedia.com Crystal Lake South's Julia Thome returns a volley during a first round match against Cary-Grove's Jessica Hinojosa in the Cary-Grove Invite Saturday, September 22, 2012 at Cary-Grove High School. 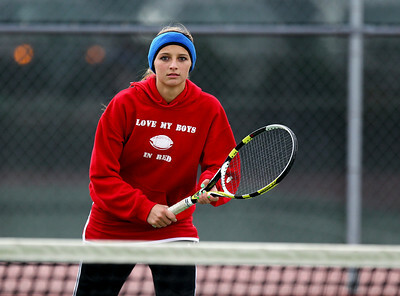 Thome won the match 6-1, 6-0. Mike Greene - mgreene@shawmedia.com Cary-Grove's Alyssa Derer returns a volley during a first round doules match against Crystal Lake South in the Cary-Grove Invite Saturday, September 22, 2012 at Cary-Grove High School. 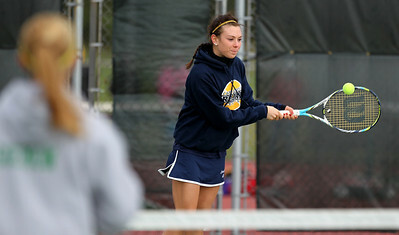 Crystal Lake South won the match 6-1, 6-2. Mike Greene - mgreene@shawmedia.com Cary-Grove's Macy Koepke returns a volley during a first round doubles match against Crystal Lake South in the Cary-Grove Invite Saturday, September 22, 2012 at Cary-Grove High School. 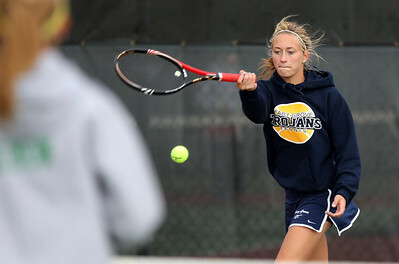 Crystal Lake South won the match 6-1, 6-2. Mike Greene - mgreene@shawmedia.com Cary-Grove's Abby Jakubicek returns a volley during a first round doubles match against Crystal Lake South in the Cary-Grove Invite Saturday, September 22, 2012 at Cary-Grove High School. 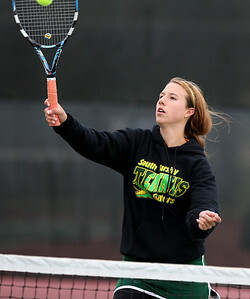 Crystal Lake South won the match 6-1, 6-0. Mike Greene - mgreene@shawmedia.com Crystal Lake South's Becca Kolarczyk prepares to return a volley during a first round doubles match against Cary-Grove in the Cary-Grove Invite Saturday, September 22, 2012 at Cary-Grove High School. 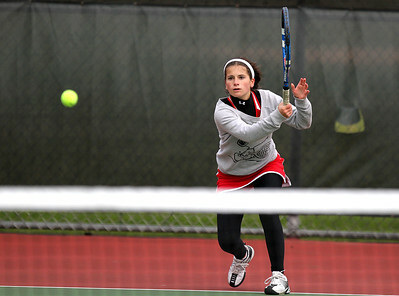 Crystal Lake South won the match 6-0, 6-1. Mike Greene - mgreene@shawmedia.com Crystal Lake South's Caitlin Theros returns a volley during a first round doubles match against Cary-Grove in the Cary-Grove Invite Saturday, September 22, 2012 at Cary-Grove High School. 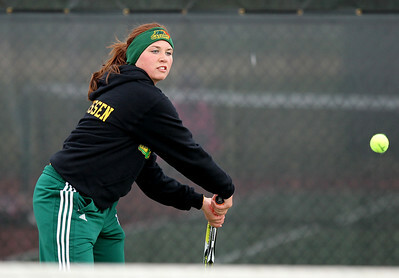 Crystal Lake South won the match 6-0, 6-1. Crystal Lake South's Jacqueline Boorom returns a volley during a first round doubles match against Cary-Grove in the Cary-Grove Invite Saturday, September 22, 2012 at Cary-Grove High School. 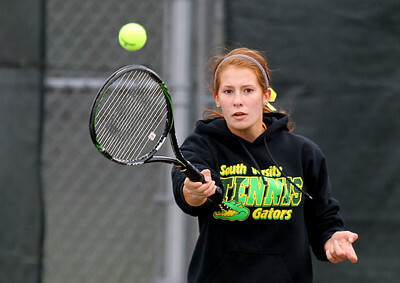 Crystal Lake South won the match 6-1, 6-0.